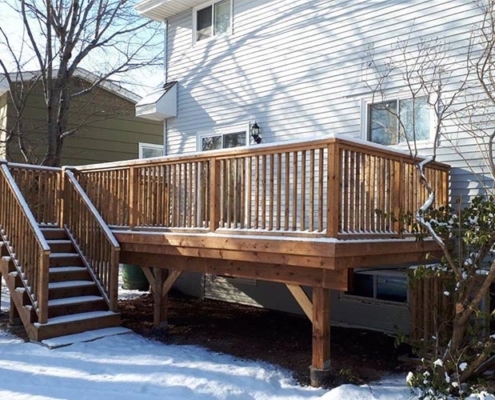 Privacy and more space to enjoy was the key to this project. 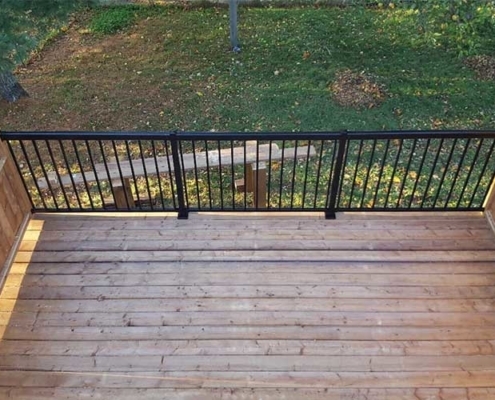 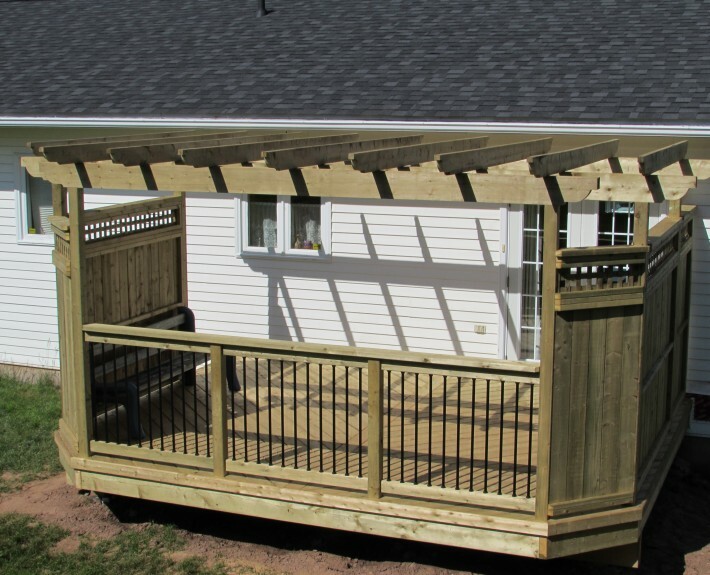 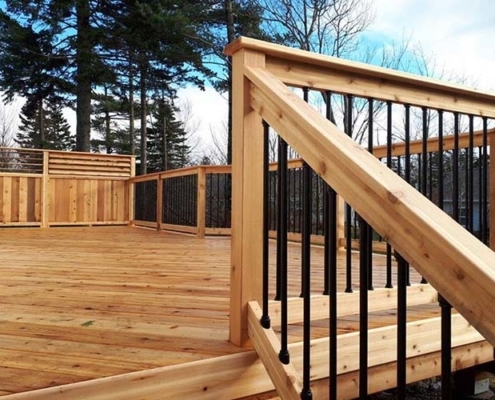 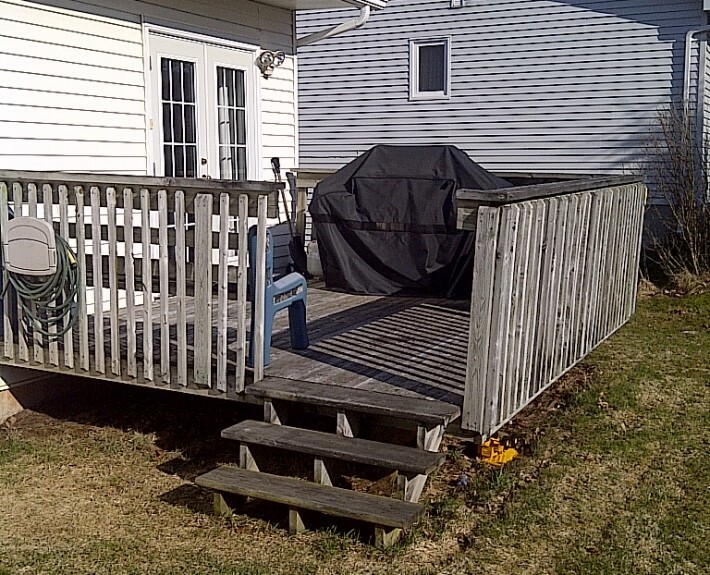 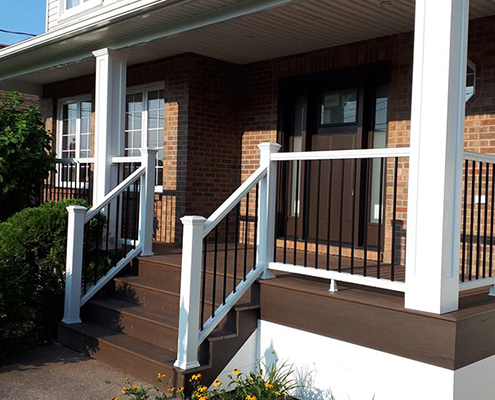 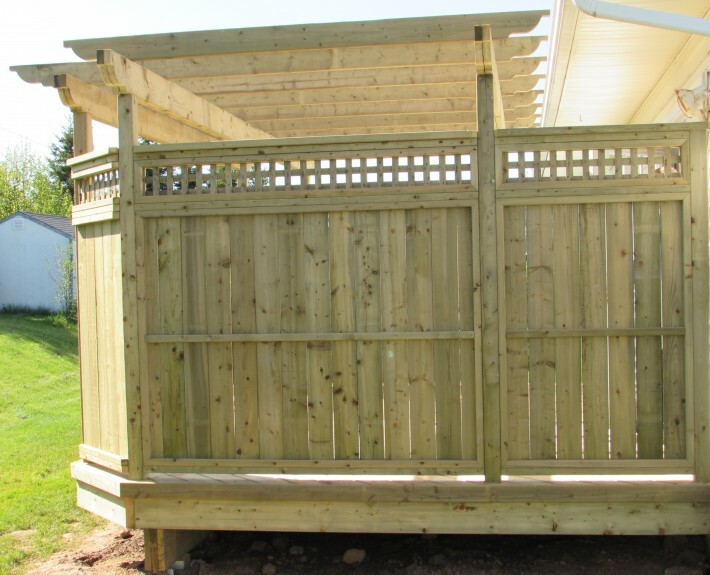 Demolish the old deck and build a stylish pressure treated deck with privacy rails on each side and bayed corners on the deck surface to create areas that are now unseen by passing traffic from the road behind the property. 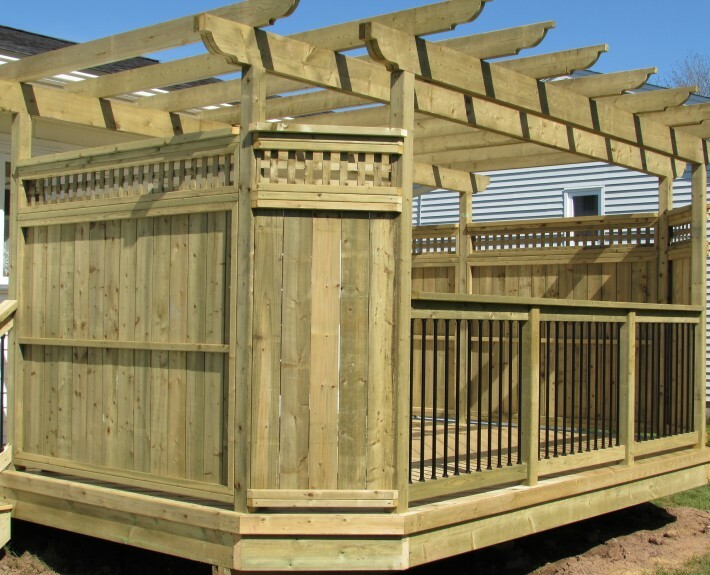 Add a pergola and the space becomes an outdoor sanctuary.